Daryl Johnson (Worcester Park, United Kingdom) on 25 September 2007 in Food & Cuisine. They even have special souvenir festival beer cans. Cool, those are some pretty colourful beer bottles! 2 of those for me please. @pedro alexandre: They're in the mail pedro. 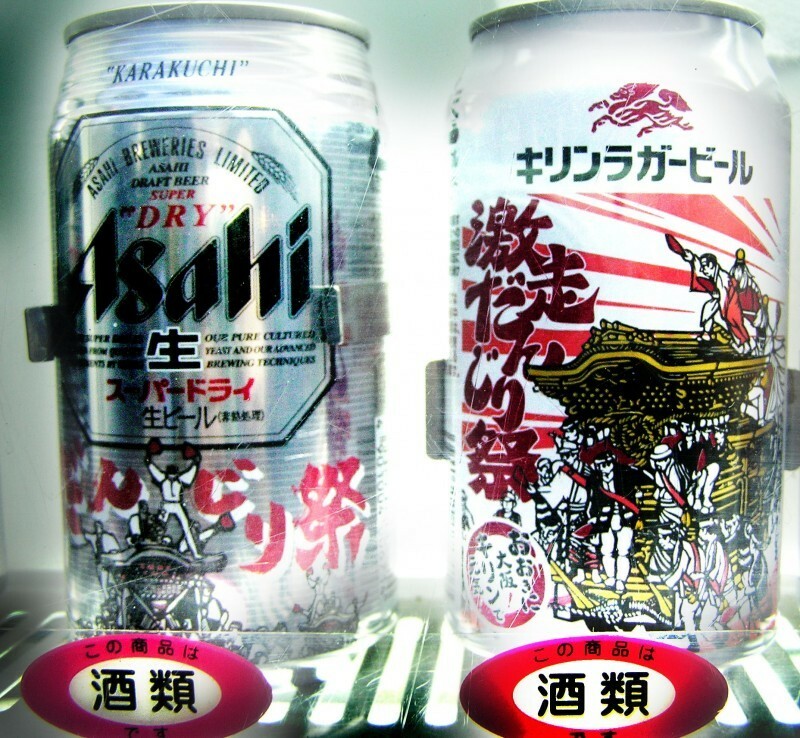 I don't know japan beer, I don't know is they are good, but the packaging is so cool ! @Inés: Japanese beer is good Inés! Wow, so cool, haven't seen that yet! @Alfredo J. Martiz J.: Just for this festival in Kishiwada Alfredo. Is this for the Octoberfest in Munich? @Wolfgang Prigge: They are souvenirs for the Danjiri festival in Kishiwada, Osaka Wolfgang. My current run of photos were all taken at the festival. @Makoto: ...with a special Matsuri flavour Makoto! I miss those beer vending machines and the beer too! !